Canon recently announced the long awaited EF 35mm f/1.4L II lens. The expected delivery date is October 2015 and you can see sample images by clicking on the link above. But there will be more announcement in the next few months. One of my favorite wide zooms is the EF 16-35mm f/2.8L II and it will be in line for an upgrade in 2016. Canon has now perfected the Blue Spectrum Refractive Optics technology. This new optical element will find its way into many of the upcoming lens and the EF 16-35mm f/2.8L III will be a prime candidate. In addition, the EF 70-300mm f/4.5-5.6 IS III lens is expected to be announced in the near future as well, together with some specialty lenses. Canon will have a busy schedule in the next 6 months or so. The EOS-1D X II and EOS-5D Mk IV are expected to be announced. 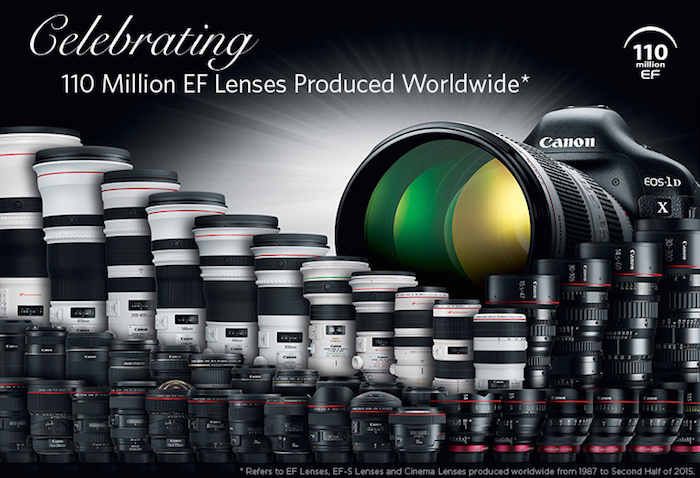 Next month, the once every five years, by invitation only, Canon EXPO 2015 will take place in New York City and Paris. That is the type of venue Canon likes to showcase their upcoming new products and technology and perhaps more information will come out. Keep checking back for the latest news and development. Apple iPhone 6S Comes With 12MP 4K Camera? Canon EOS-1D X Mk II Camera Shoots 14 fps?